On March 2, in the first match of the Ukrainian Cup last 8, the Pitmen played an away game with Vorskla. Ukrainian Cup 2015-16. Last 8. The first match. Compared to the Europa League game against Schalke, in Poltava the Pitmen’s backline saw significant changes: Oleksandr Kucher, Ivan Ordets and Vyacheslav Shevchuk were fielded in the starting line-up. There weren’t other changes in the team. As for the opponents, Gromov and Shynder missed the game. Shakhtar managed to score an early goal on 4 minutes. Marlos made a run through the centre before playing the ball into the path of Viktor Kovalenko, who skipped past the opponent to chip the ball over the opposition goalkeeper from inside the penalty area to make it 0-1. The Pitmen were confidently dominating proceedings. The opposition defence had problems dealing with the Pitmen’s attacks. There was a dangerous set piece situation in the 18th minute, and a little later Shevchuk who skipped past the goalkeeper inside the penalty box but his pass to a team-mate lacked accuracy. On 37 minutes, following a cross from Darijo Srna from the flank, Facundo Ferreyra took a headed shot – the ball went wide. Andriy Pyatov, in turn, had almost no work. The Pitmen went into the half time with a narrow lead. Vorskla started playing more energetically, with going forward in numbers. The Pitmen were ready for it and were still looking for a goal. On 55 minutes, Srna delivered a free kick to the penalty spot area for onrushing Ferreyra to head the ball into the corner of the net. Later on, the Pitmen’s new attack led to a goal: Kovalenko took a great shot from the edge of the penalty area, Vorskla’s goalkeeper parried the ball away straight to Taison who drilled a cross for Kucher to send the ball in from point blank range to make it 0-3. The hosts were then reduced to ten men after Dityatyev’s sending off. On 70 minutes, Srna took a free kick that hit the goal post. 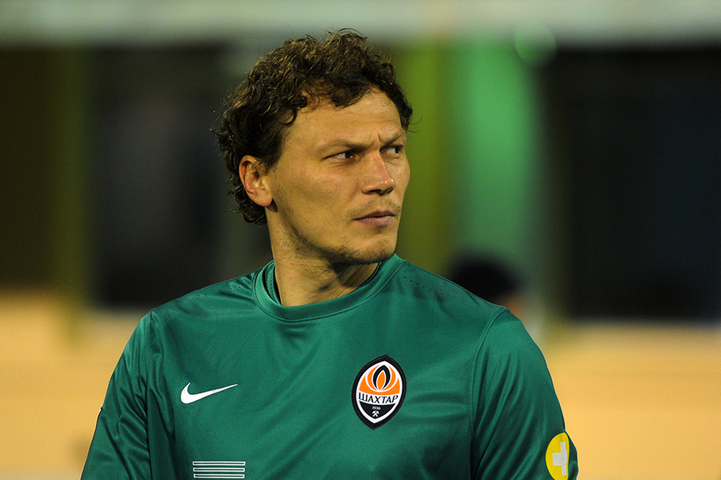 The hosts had chance to score but Pyatov played superbly to parry the ball away for a corner. The Pitmen’s rapid response led to fourth goal: Wellington Nem, who came on as a sub, fed Taison and managed to seize on the rebound to make it 0-4. In the remaining time, the Pitmen had a couple of chances to net a goal but the scoreline remained unchanged. The date of the return leg will be confirmed later, and on 6 March in Lviv the opponents will face each other again – on matchday 17 of the Ukrainian league.